Health Canada estimates that over the next 10 years, 450,000 Canadians will turn to using legal medical marijuana. As the popularity of medical marijuana continues to increase across Canada, employers and employees are faced with unprecedented changes as marijuana use creeps further and further into the workplace. While the possession and use of marijuana without a valid prescription remains prohibited under the Controlled Drugs and Substance Act, the Marihuana for Medical Purposes Regulations, which came into force in April 2014, permits the use of marijuana for medical purposes. Medical marijuana now needs to be viewed like every other doctor-prescribed drug, which has created competing duties for employers. On the one hand, the Ontario Human Rights Code requires employers to accommodate an employee with a disability up to the point of “undue hardship”. The obligation to accommodate now extends to employees who manage their disabilities through the use of prescription marijuana. On the other hand, the Occupational Health and Safety legislation requires employers to take every reasonable precaution in the protection of its workers. In order to balance these competing duties, both employees and employers are faced with a greater duty of care when requesting and granting the use medical marijuana in the workplace, respectively. As with any medical prescription, the right to possess does not give the employee the right to use it in the workplace. For any accommodation request, the onus is on the employee to provide detailed information with respect to their disability and need for accommodation. The employee must produce appropriate medical documentation to support their need for medical marijuana in the workplace. The medical documentation should state that the employee is able to safely continue his/her duties while taking medication. The employer must then make a proper assessment of the employee, his/her duties and the impact of the employee’s marijuana use. 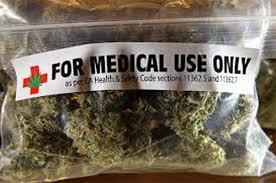 Should the medical reports come back indicating that person would be impaired in performing their duties, the employer does not necessarily have to accommodate the employee’s request to use medical marijuana. An obvious example of this is where an employee is working in a safety-sensitive position where impairment could endanger their safety and the safety of other employees. In French v. Selkin Logging (2015, British Columbia Human Rights Tribunal), the employee, who used marijuana in the workplace for the management of his pain due to cancer, claimed that Selkin Logging had discriminated against him on the grounds of his disability by preventing him from taking time off to attend medical appointments. The company, which has a “zero tolerance” policy on marijuana use, argued that it did not discriminate against French based on his use of marijuana to handle the symptoms of cancer, but rather, it could not accommodate him due to its safety-sensitive work environment. While the Tribunal found that French was indeed disabled, it ruled that the employer’s zero tolerance policy was reasonable given the fact that French’s marijuana use was not authorized by a doctor and he had not informed his employer of his need to use marijuana. The Tribunal found that the employee had a positive obligation to ensure his marijuana use was medically supported and that his employer received proper medical documentation of same. Had he provided the appropriate medical documentation, the outcome of this case may have been different – it would likely have triggered Selkin Logging’s duty to accommodate by tweaking its zero tolerance policy. Most recently the Ontario government has announced its plans to ban smoking and vaporizing medical marijuana anywhere where regular cigarettes are prohibited, which includes enclosed public places, workplaces and certain outdoor areas. Should this regulation be passed, an employer’s obligation to accommodate may extend to allowing the employee to smoke in a designed area during scheduled breaks or meal periods. The employee may also explore suitable alternatives to smoking, such as ingesting marijuana in food. A modified work schedule or leave of absence during the period of treatment (depending on the frequency of administration, dosage and anticipated degree of impairment) may also be an appropriate remedy. · Address the disciplinary consequences for policy breaches, including the use of medical marijuana in the workplace without proper authorization and medical documentation. If you would like more information about the use of medical marijuana in your workplace, or if you have been terminated for marijuana use while on the job, you should speak with an experienced employment lawyer. Contact us today for a free telephone consultation. If you are concerned about how medical marijuana will impact your workplace, you should contact a trusted employment lawyer. Monkhouse Law has experience assisting employers in developing policies that are both compliant with legislation and flexible to your workplace needs. Contact Monkhouse Law today for a free consultation.